This month we’re starting, appropriately enough, with Charles Dicken’s A Christmas Carol which is about generosity of spirit. I’m all for that but I’m still a bit bah humbug about Christmas after so many years in bookselling which left me a wee bit cynical about the whole thing. Patricia Highsmith’s Carol was first published with the title The Price of Salt and renamed for the film starring Cate Blanchett and Rooney Mara. It’s the semi-autobiographical story of a tragic love affair. I’ve yet to read the book but the film was superb. Jill Dawson’s The Crime Writer is an homage to Highsmith, a brilliant piece of literary fan fiction. She takes the writer’s time at Bridge Cottage in Suffolk and weaves it into a story which constantly pulls the rug from under her readers’ feet. Dawson often tells the stories of real people in her fiction. Sean Michaels takes the same tack in Us, Conductors, his fictionalised story of the inventor of the theremin, a weird and wonderful musical instrument. If you want to hear it, pop over to YouTube where you’ll find a demonstration by Leon Theremin the subject of Michaels’ book. Much to my surprise I read another novel about the theremin, shortly after Us, Conductors. Tracy Farr’s The Life and Loves of Lena Gaunt tells the story of a fictional virtuoso theremin player and has a cameo from its inventor. Continuing the musical instrument theme, Annie Proulx’ Accordion Crimes tells the story of immigration through the accordion, an instrument dear to many nations’ hearts so it seems. I like the idea of this very much but learned – and have since forgotten – far more about accordions than I ever wanted to know. This month’s Six Degrees of Separation has taken me from a nineteenth-century tale of Christmas cheer (eventually) set in London to a tale of betrayal and revenge in Newfoundland. Part of the fun of this meme is comparing the very different routes other bloggers take from each month’s starting point. If you’re interested, you can follow it on Twitter with the hashtag #6Degrees, check out the links over at Kate’s blog or perhaps even join in. This entry was posted in Reviews, Six Degrees of Separation and tagged A Christmas Carol, Accordion Crimes, Annie Proulx, Carol, Charles Dickens, Howard Norman, Jill Dawson, Patricia Highsmith, Sean Michaels, The Bird Artist, The Crime Writer, The Life and Loves of Lena Gaunt, Tracy Farr, Us Conductors on 2 December 2018 by Susan Osborne. I’d been looking forward to Jonathan Galassi’s novel, smacking my lips over the idea of a treat not to mention an escape from the ‘hell in a hand cart’ news we seemed to be drowning in. It’s all about the book world and what could be more comforting than that? Paul Dukach, the misfit in a family of beefy athletes, conceives a lifelong passion for Ida Perkins’ poetry as a teenager. By the end of the book Paul will have fulfilled his wildest dreams but not without a twinge or two of conscience. Galassi is a poet and one of the head honchos at Farrar, Straus and Giroux. He knows a thing or three about Paul’s world. Thanks to the well-connected Morgan, who introduces him to Ida’s work, Paul finds his way into the New York publishing world, soon gaining a reputation for his sharp editorial eye. He’s offered a job by Homer Stern, the louche, foul-mouthed owner of Purcell and Stern, one of the city’s two most revered literary publishing houses, its lists stuffed full of Nobel Prize winners. Paul would like nothing more than to publish Ida’s poetry but Homer’s rival, Sterling Wainwright, has an iron grip on the rights to it. Over the years, as Paul gains a reputation as one of New York’s finest editors, he becomes Sterling’s friend, privy to his stories about Ida and fellow poet Arnold Outerbridge, one of her many lovers. Through Sterling, Paul is given an introduction to his idol and after an afternoon spent listening to her stories finds himself presented with an astonishing proposition which pitches him onto the horns of a dilemma. Galassi’s smart, funny novel takes us into the world of literary publishing, replete with gossipy detail and sharply observed satire while posing questions about the nature of literary fame. Beginning with a brief biography of Ida Perkins and ending with a bibliography of her work, Muse had me half-believing that I might somehow have managed not to hear about this celebrated poet. Of course, she doesn’t exist – a bit like the theremin playing Lena in The Life and Loves of Lena Gaunt and just as cleverly drawn. Nothing like an insider to poke the sharpest fun and there’s a good deal to amuse here – thumbnail (possibly heartfelt) sketches of egotistical, needy authors; a biting description of the Frankfurt book fair that may raise a few blushes in publishing circles – with sharply funny lines peppered throughout. Paul’s moral dilemma is a little too conveniently resolved but that said it’s a brilliant piece of entertainment for anyone who’s interested in the machinations of the book world. Had I been an American there would have been the added spice of working out who was who although when Medusa rears its ugly head you don’t need to be a genius to realise who Galassi has in his sights. Hugely entertaining, then, and a much-needed escape for me. Poets who wince at the line: ‘Who was it who said the reason there’s so much backbiting among poets is because there’s so little at stake’ can take comfort from the knowledge that it was Kissinger and he was talking about academics rather than poets. It’s often quoted in this house. This entry was posted in Reviews and tagged Contemporary American fiction, Jonathan Galassi, Muse, Publishing in fiction, The Life and Loves of Lena Gaunt, Tracy Farr, Vintage Publishing on 27 July 2016 by Susan Osborne. Back in what passed for a summer here in the UK, I read Sean Michaels’ Us, Conductors which told the story of Leon Theremin, inventor of the strange musical instrument that bears his name. Thoroughly enjoyable, it has what remains one of the best lines I’ve read in fiction for some time: ‘I had never been so hopeful as when Lenin played the theremin’. Much to my surprise, barely six months later, another novel featuring the theremin popped up: Tracy Farr’s The Life and Loves of Lena Gaunt which tells the story of the eponymous virtuoso theremin player. Leon Theremin makes a cameo appearance but other than that, as far as I can tell, it’s entirely a work of fiction. Invited to play at an electronic music festival, eighty-year-old Lena cuts an elegant figure on stage, holding the audience spellbound with the ethereal sounds her instrument produces as she moves her hands over it. Lena plays rarely these days and is more than a little irked by a poor review after the concert, so much so that against her better judgement she decides to co-operate with the woman who has asked if she can make a documentary telling the story of Lena’s life. Rather than a conventional retelling, Maureen wants an extemporised version, an improvisation, and that is what Lena gives her, picking up the manuscript she began many years ago. Hers has been an eventful life. Her first four years were spent in Singapore until the diagnosis of a leaky heart resulted in her parents sending her ‘home’ to Australia where she’s met by her delightful Uncle Valentine who heads off to war for four years leaving her at boarding school. It’s Valentine who later encourages her musical talent, presenting her with an aluminium cello when she’s summoned to join her parents in Malacca, aged sixteen; Valentine who teaches her to swim, a lifelong habit and solace in times of trouble; and Valentine who opens her mind to modernity and all its exciting new inventions, paving the way to her theremin playing. After a stultifying year in Malacca, Lena makes her escape, taking herself off to Sydney where she’s introduced to the instrument that will make her name and meets the love of her life. Music, swimming, walking and solitude – these are the constants in a life that will encompass love, tragedy and a great deal of opium. 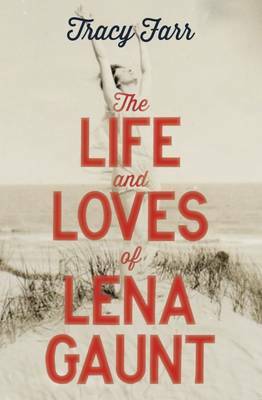 Lena neatly unfolds her story, punctuated by visits from Maureen who gently prompts her subject, opening her up with details of her own life so that Lena divulges far more than she ever intended. Farr has a sharp eye for location. Bali, which Lena visits on her way to Malacca, is particularly strikingly described – colourful and vibrant – as is the construction of the new Sydney Bridge which Lena loves to watch, seeing it as the embodiment of modernity. Grief – of which there is much – is handled with a light touch, poignant but never cloyingly so. Lena’s voice is a strong one, carrying her story through her eventful life convincingly and engrossingly. So convinced was I that I spent some time googling her but the only thing I came up with was Farr’s novel. Not the equal of Us, Conductors for me but it’s an absorbing and enjoyable novel nevertheless. And if you want to know what Lena’s extraordinary instrument sounds like, pop on over to YouTube where you’ll find a demonstration by its inventor. Once heard never forgotten!. This entry was posted in Reviews and tagged Aardvark Bureau, Australian fiction, Leon Theremin, Sean Michaels, The Life and Loves of Lena Gaunt, theremin, Tracy Farr, Us Conductors on 20 January 2016 by Susan Osborne.